Starting in 2018, IFRS 9 will require banks around the world to change their processes for accounting of credit risk. 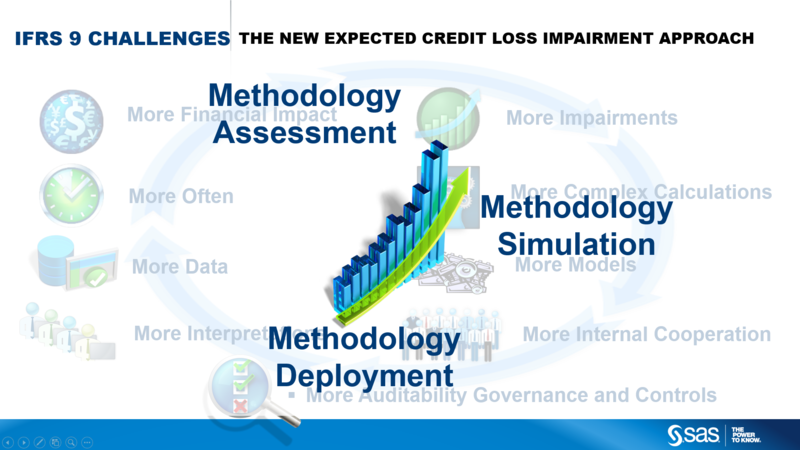 This new impairment standard will move banks from the backward looking incurred loss model into a forward looking Expected Credit Loss (ECL) modelling approach. 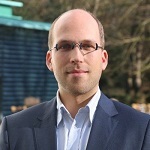 When talking with banks around the world about how they deal with the challenges introduced by IFRS 9 Impairments, it seems that what attracts the most of their concerns is how to perform the assessment, simulation and deployment of the IFRS 9 Impairment methodology in a robust, timely and efficient manner while still being sufficiently flexible. IFRS 9 impairment principles leave room for interpretation, with each alternative leading to a different impact on financial results but also on the robustness of the methodology and related implementation efforts. Intensive multi-departmental coordination will be needed and alignment with implementations of other regulatory requirements will be necessary both on the process and technology side. In the end, banks when structuring their IFRS 9 Impairment programs, should aim for an optimal balance between implementation effort, financial impact, methodology robustness and compliance. 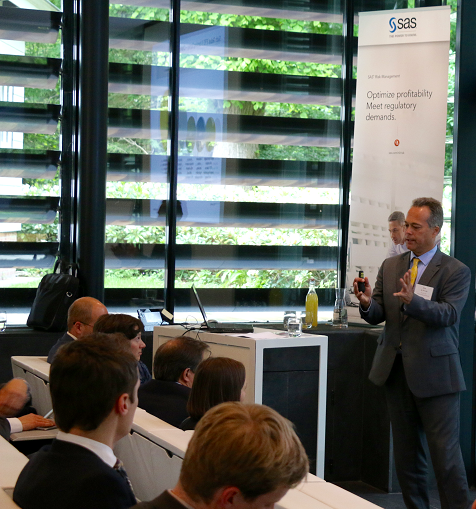 Recently, SAS Netherlands hosted the Global Association of Risk Professionals (GARP) meeting on IFRS 9 Impairments. Around 50 professionals from the Dutch banking industry gathered to hear about relevant developments in this area, and to learn from the experience of the speakers from the industry who shared their practical views on the subject and provided useful insights. You can read about some of the highlights below or browse presentation materials at the event site. 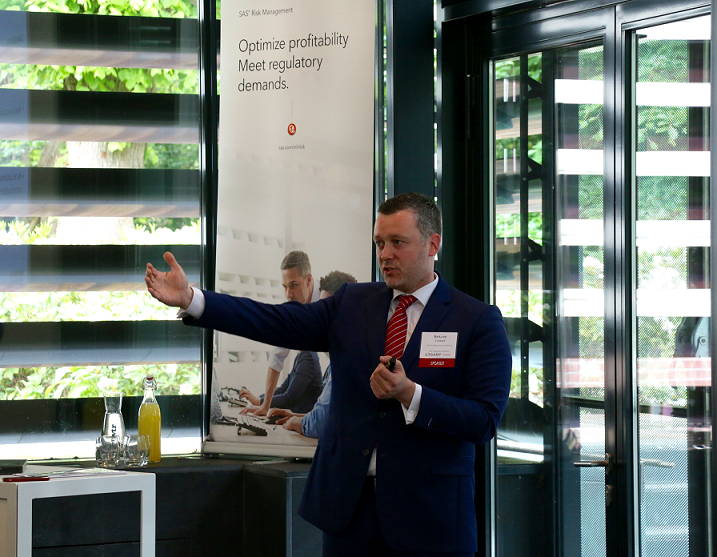 Bastiaan Verhoef, Head of Quantitative Modeling at Van Lanschot, shared his experience with IFRS 9 Impairments from modelling perspective of a mid-size bank. According to Bastiaan the big challenge is to develop a consistent (integrated) model landscape for IRB, IFRS and stress testing. On the other hand he also considers IFRS 9 to be a unique chance to have a fundamental look at credit risk models within the bank. This holds not only for the implementation phase but also after the go-live day in 2018. Eric de Weerdt, Director Audit at Deloitte Financial Services, shared in his presentation key aspects that the auditor will be looking for when reviewing bank’s IFRS 9 program. He considers the lack of clarity in interpretations of IFRS 9 as one of the major issues. 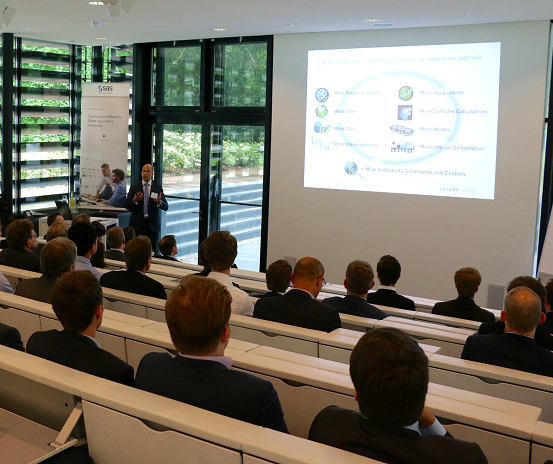 During his presentation Eric shared the observations from the latest Global IFRS Banking Study performed by Deloitte. 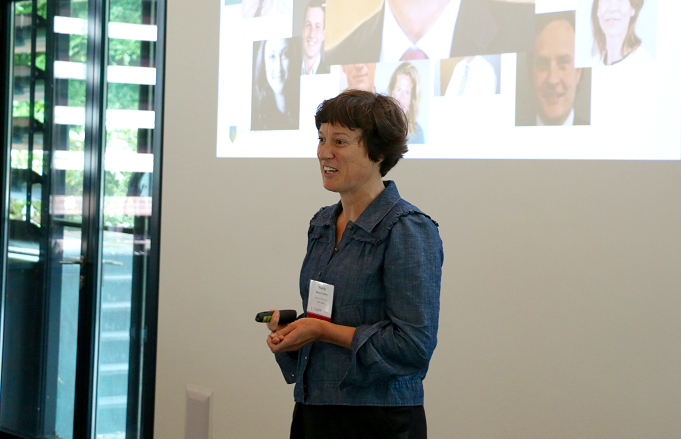 The slidedecks used during the presentations can be downloaded from the GARP's events page (look for events in May 2016). To learn more on this topic, please read our SAS white paper on Achieving Optimal Compliance with IFRS 9 where we explore what banks need to consider in order to achieve an optimal balance between implementation effort, financial impact, methodology robustness and compliance. 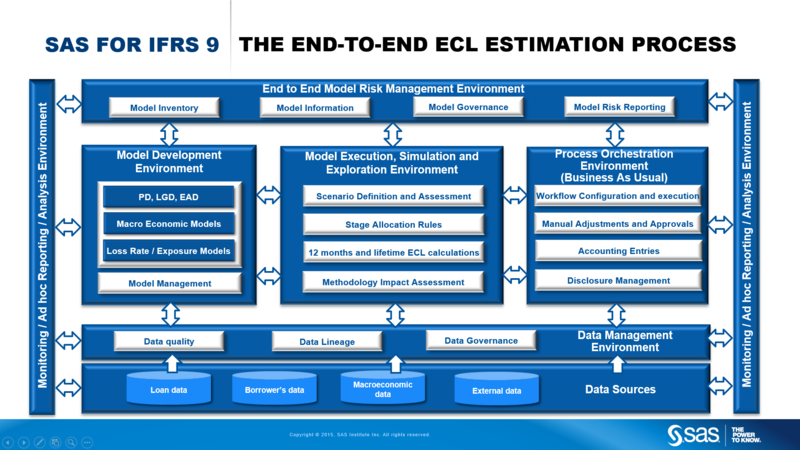 To help you on journey to this optimal balance, SAS has put together an impressive proposition covering the whole end-to-end expected credit loss estimation process with focus on flexible environment for the assessment, simulation and deployment of the IFRS 9 Expected Credit Loss methodology in a robust, timely and efficient manner.